After he had helped pull off one of the biggest cash robberies in American history — the Lufthansa heist of 1978 — and stashed millions of dollars, along with burlap sacks of gold chains, crates of watches, and diamonds and emeralds, in his cousin’s basement, Vincent Asaro thought first about the code: Protect the family. He kept quiet, but another part of Mr. Asaro, a Mafia yeoman working his way up through New York’s Bonanno crime family, could not resist. He bought a Bill Blass-model Lincoln and a Formula speedboat — symbols of a man who wanted to belong. Mr. Asaro did not realize his world was vanishing. An undated image of Vincent Asaro. Born in 1935, he entered the same business as his father and grandfather, also Mafia members: a company man even if the company business was murder and extortion. Growing old, Mr. Asaro stayed in his old neighborhood in Queens, shopping at Waldbaum’s, sticking with the routines he knew. By then, though, other organized crime groups were squeezing out the New York Mafia with new, sophisticated businesses. More devastatingly for him, Mr. Asaro’s friends, superiors and even a relative began informing on him to the government — providing the material that allowed prosecutors to bring charges after all these years, and shredding the Mafia code that defined his life. In closing arguments, Elizabeth Macedonio, a defense lawyer, portrayed the cooperating Mafia witnesses as liars, and Mr. Asaro as someone who, despite years of being surveilled by federal agents, was never once caught doing anything wrong. The case, which is expected to go to the jury Monday afternoon, has depicted a Mafia life from a time when the organization still ruled New York, drawn from testimony, recorded conversations, wiretapped phone calls, court filings and F.B.I. surveillance records going back 40 years. Vincent Asaro was brought down in his old age by a violation of the codes he so embraced; his is the story of the disappearing New York Mafia, and of a disappearing way of life. Mr. Asaro was escorted by F.B.I. 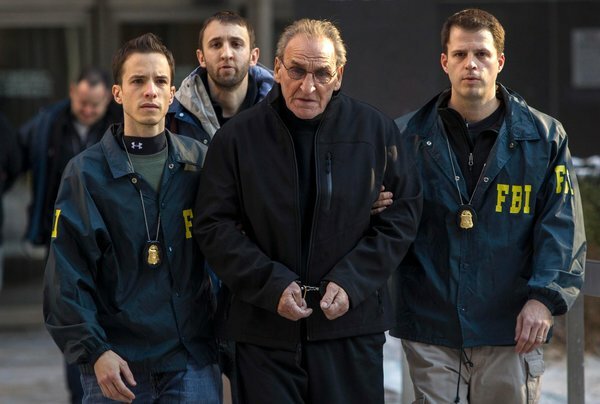 agents on Jan. 23, 2014, after he and four other reputed members of the Bonanno crime family were arrested. 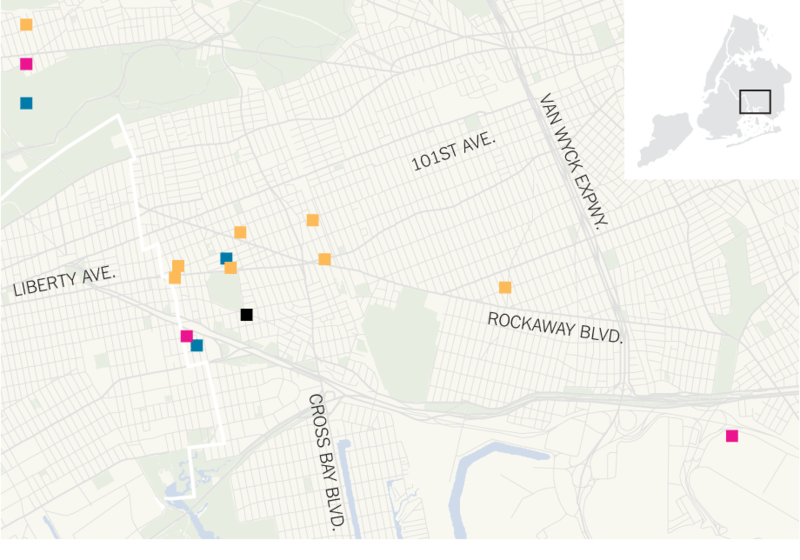 To get by around Ozone Park, Queens, in the 1950s and ’60s, teenagers had to figure certain things out pretty young. “Down the hole” was an Italian area on the border with Brooklyn. Savvy lottery players picked lucky combinations from the Daily News horse-race charts. And, several people testified, around the time they became teenagers, they realized where the power in the neighborhood lay. The five New York families each have a boss, an underboss and a consigliere ruling them. Captains follow, then soldiers. Under that are associates, who are not made, or inducted, members. 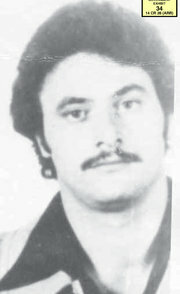 Salvatore Vitale, a former Bonanno underboss, testified at Mr. Asaro's trial. Salvatore Vitale, a former Bonanno underboss, explained the rules: You did not cooperate with law enforcement. You did not sleep with another member’s wife or daughter. You could sell only pot, not other drugs. Are the rules broken? an assistant United States attorney, Nicole M. Argentieri, asked him. “All the time,” Mr. Vitale replied. This was the family business Mr. Asaro seemed destined for. Anthony Ruggiano Jr., whose father, known as Fat Andy, was a Gambino soldier, began noticing Mr. Asaro when he saw him at Aqueduct or around the neighborhood. Fat Andy said that Mr. Asaro was going to be a third-generation wiseguy, and “thought it was a great thing,” Mr. Ruggiano testified. In 1969, prosecutors said, Mr. Asaro graduated to murder. One Sunday in 1969, Mr. Asaro and Mr. Burke met Mr. Valenti at a house Mr. Valenti’s father was building in Queens, bringing a sledgehammer and a shovel. “Vinny came up the steps,” Mr. Valenti testified, “and said, ‘We have to bury somebody.’” Mr. Valenti thought he was joking; he was not. The body was that of Paul Katz, a man Mr. Asaro suspected of being a government informant. Mr. Asaro and Mr. Burke had strangled the man with a dog chain, according to Mr. Valenti. Mr. Valenti said he helped them bury the body underneath the basement concrete. James Burke, a powerful Mafia associate and a friend of Mr. Asaro's. In “Goodfellas,” Robert De Niro plays the character based on Mr. Burke. 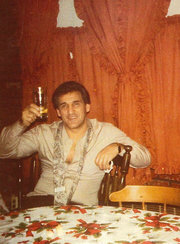 In the late 1970s, Mr. Asaro was formally inducted into the Bonannos: Vinny Asaro was a made man. Mr. Zuccaro recalled being at a club called Little Cricket that night. When Mr. Asaro walked in, someone played a song called “Wise Guy,” and then “the whole neighborhood knew,” Mr. Zuccaro said. Soon, Mr. Asaro would show he merited the honor. Rolf Rebmann was working his usual midnight-to-7-a.m. shift at Building 26 at Kennedy Airport on Dec. 11, 1978, when he heard a “holler” from outside the terminal. His co-workers were upstairs in the lunchroom for their 3 a.m. meal break, so Mr. Rebmann, a Lufthansa security guard, walked outside to see a man standing near a black Ford van. “I asked him if I could help him, and he said ‘No,’ and stuck a gun in my face and told me to get in the van face down,” Mr. Rebmann testified. 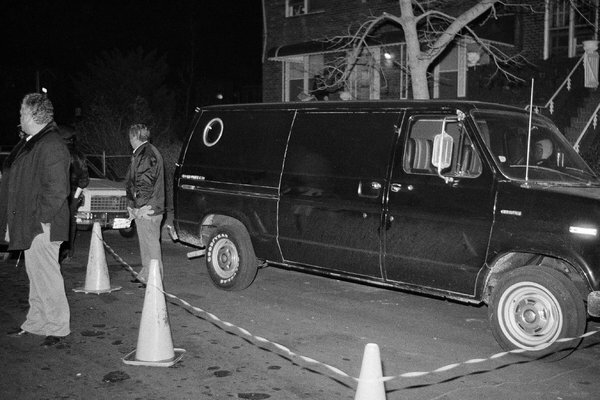 In December 1978, the police cordoned off a stolen black van in Brooklyn, suspecting it had been used in the Lufthansa robbery at Kennedy International Airport. Led by Mr. Burke, they had been tipped off to the valuable cargo shipments by an airport employee. They had pulled off what was then billed as the largest cash robbery in United States history, stealing $5 million in cash and $1 million in jewels. 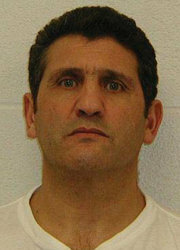 Gaspare Valenti, who testified he was one of the two men who attacked the guards, said Mr. Asaro had allowed him to come. In planning sessions at the Queens social club Robert’s Lounge, Mr. Burke, Mr. Asaro, Mr. Valenti and several other men looked over airport plans, and agreed to visit the terminal at least twice to map out escape routes, Mr. Valenti testified. 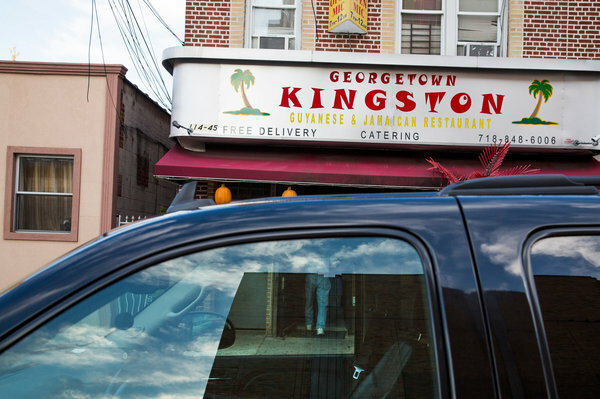 A Guyanese and Jamaican restaurant now operates at the site of the former Robert's Lounge in Ozone Park, a notorious mob hangout. According to trial testimony, much of the planning of the Lufthansa robbery was done there. Mr. Asaro drove Mr. Valenti to Mr. Burke’s house the night of the robbery, giving him a .38 hammerless pistol and an instruction: “‘Anything happens, just stand your ground and continue to do the robbery the best you can,’” Mr. Asaro told him, Mr. Valenti testified. Mr. Asaro and Mr. Burke said they would wait in a decoy car a mile away, and the others piled into a van and headed for the terminal. Tommy DeSimone was one of the Lufthansa robbers, according to trial testimony. After unloading the haul in Mr. Valenti’s basement, Mr. Asaro left for Fat Andy’s social club. When Mr. Valenti, feeling “euphoria,” met him at Fat Andy’s, Mr. Asaro issued his warning to be careful. Mr. Asaro was: He stayed away from Mr. Valenti for a while, kicked up $100,000 to his captain, distributed jewelry to the Five Families to keep the peace and asked friends to hold on to the cash so it wasn’t in one place. He even worried that throwing out the cardboard boxes that contained the cash might draw unwanted attention. So he came up with the idea for Mr. Valenti to sell Christmas trees, so a cheery bonfire would not look out of place. He had reason for the concern. Headlines throughout that December blared about the daring robbery, and by just after Christmas, agents from the Federal Bureau of Investigation were watching Mr. Asaro visit Mr. Burke’s house in Queens. In the years after Lufthansa, the participants who were still around had enough money that they should have been able to stop working. Mr. Valenti got his $750,000 share, as did Mr. Asaro. Most of the others were killed or disappeared (deaths prosecutors attribute in part to Mr. Burke, who died in 1996 while serving his sentence). Mr. Asaro acted, in some ways, as if it were the 1950s and the mob were at its height. He placed bets at Aqueduct. He played handball and paddleball, poker and Continental. He oversaw truck hijackings and armored-car robberies. In a series of surveillance photographs, he seemed the picture of easy confidence. He even waved at an F.B.I. agent one day, according to testimony. 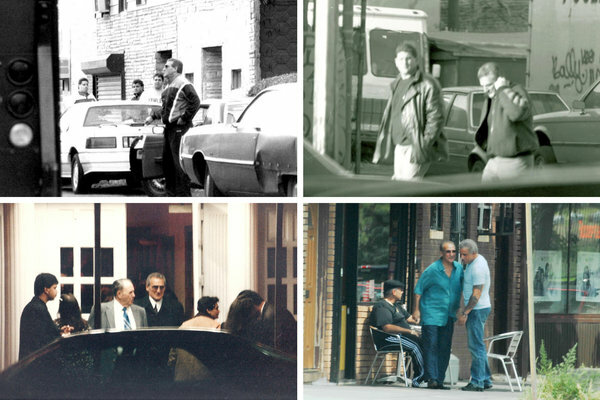 Clockwise from top left, surveillance photographs of Vincent Asaro at J&S Cakes/MVP Trucking in 1987, at a social club at 433 Meeker in 1989, outside Glendale Sports Club in 2013 and at James Burke's wake in 1996 at Romanelli Funeral Home. But it was the 1980s, and the Mafia, after years of prosperity and influence, was beginning a steep decline. The police and F.B.I. agents infiltrated the mob. Federal prosecutors charged the bosses of the Five Families using a powerful racketeering act, and four of the five were imprisoned (the fifth was killed before trial). Suddenly, even friendly local politicians stopped supporting the families. On the other side, the Mafia was getting squeezed by crime syndicates from Japan, Russia, Mexico and Eastern Europe doing drug trafficking, human trafficking and arms dealing. The mob, though it still made money from extortion and gambling, was not evolving, and neither was Mr. Asaro. Into the 1990s, Mr. Asaro was still threatening neighborhood shops. An Ozone Park resident, Guy Gralto, testified that when he opened his chop shop in the 1990s, Mr. Asaro asked for “protection money.” When Mr. Gralto could not pay, Mr. Asaro hit him and said that “when he was done with me my mother wouldn’t be able to ID my body,” Mr. Gralto testified. 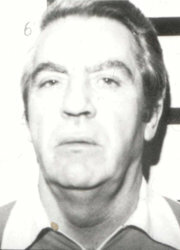 Joseph C. Massino, the former Bonanno family boss, was the first official boss of a New York crime family to cooperate with federal authorities. But as he grew older, his bosses considered Mr. Asaro “hostile,” as Mr. Vitale, the former Bonanno underboss, put it. In the 1990s, the boss demoted Mr. Asaro because “he was abusing his leadership position by ‘robbing’ the individuals who reported to him,” and was low on money from too much gambling, prosecutors wrote. Prosecutors do not name the mob boss in the papers, but the details they give match those of Joseph C. Massino, who later began cooperating with the government. Prosecutors discussed calling him to testify at Mr. Asaro’s trial, according to transcripts. An enfeebled New York Mafia limped into the new millennium. One associate, Peter Zuccaro, enthralled with the Mafia since he was a teenager, declined the offer when he was told he was being made around 2000. “I didn’t need it,” he said; he began informing a few years later. 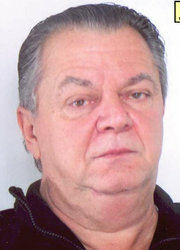 In 2003, Mr. Vitale started cooperating with the government, and helped convict more than 50 Mafia figures. That was followed by a once-unthinkable betrayal. In 2005, a mob leader flipped for the first time. It was Joe Massino, Mr. Asaro’s onetime boss. Mr. Asaro did not seem to question it when his cousin Gaspare Valenti, who had been in Las Vegas and not speaking to Mr. Asaro, returned to New York and befriended him in 2010. Mr. Valenti was secretly working with the F.B.I. Since his divorce in 2005, he had been on bad terms with his only son, Jerome, a Bonanno captain. His jewelry had been in hock for two years. He still went to Fat Andy’s, where he had celebrated the Lufthansa robbery, but “people hate me in there: I don’t pay my dues,” he told Mr. Valenti, his cousin, in a conversation Mr. Valenti recorded. 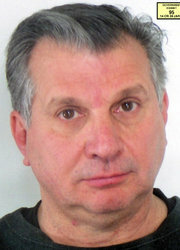 Jerome Asaro, Mr. Asaro's son and a Bonanno captain, struck a plea bargain. He tried to look sharp, though his idea of sharp by then was fresh sneakers and a jacket from Kohl’s. As other organized crime was getting ever more sophisticated — hacking into bank accounts, stealing identities — Mr. Asaro was still talking about small robberies and little shakedowns. He worried he was so irrelevant he would be kicked out of the Mafia altogether. “They’re going to take my badge away. You’re going to see, it’s going to happen,” he told Mr. Valenti in 2011, according to a recording played in court. By 2012, the group’s waning membership was such that he told Mr. Valenti that he was promoted to captain again. It did not change his fortunes. “I ain’t got a penny. I swear to God. No gas. Twenty dollars can you lend me?” he told Mr. Valenti. 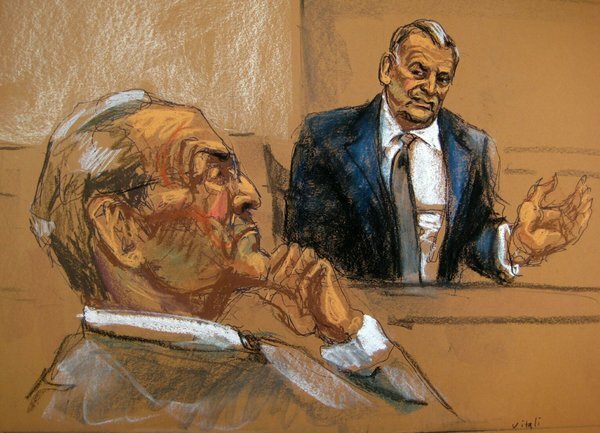 Vincent Asaro, left, looked on as Mr. Vitale testified during Mr. Asaro's trial in this court sketch Oct. 19. During the trial, which started in October, traces of Mr. Asaro’s verve were on display. He insisted on a clear line of sight to the turncoats, mouthing obscenities as they testified. Some moments struck him as amusing — when he heard a tape of himself telling Mr. Valenti he had a “face made of [expletive] plutonium,” he put his head in his hands and chuckled. But the trial made it clear. Omertà was no more. People above him had flouted the code, people below him had flouted the code, and the last one left was Mr. Asaro clinging to his credo. He seemed angry and betrayed.